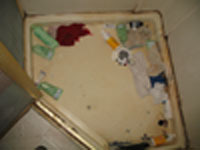 Meth Photographs showing the meth-mess and what it is like to share living space with a meth user. 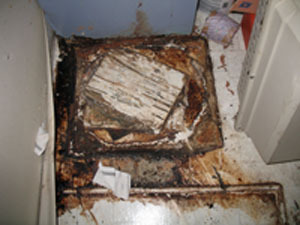 Sharing a home with a meth user is hell, so I decided to put these pictures of my home - yes, MY home - on this site to show just how bad it can get when someone is on drugs. 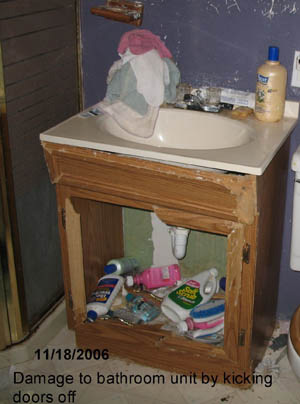 At the time these meth photos were taken in 2006, I was working away from home. This is what I found when I came back. This was the front porch. 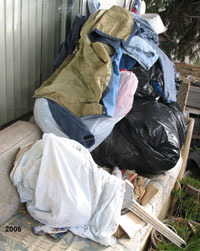 Why bags of old clothing I do not know, but something had nested in the middle. Nice for the neighbors too! Do you want a closer look? She did not eat like normal people. It looks pretty toxic to me! Oooh no we won't go there! Maybe the bathroom is better? Well, I guess it is not any better!. Probably not, at least not in this shower! 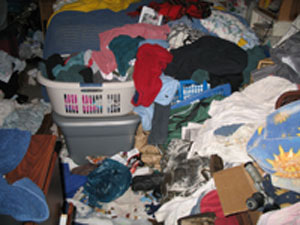 Let us take a glance in her bedroom - yes, believe it or not, there is a bed in there somewhere. I don't think she slept much either! and just WHAT is that on the floor...??? Better not to know I think.. 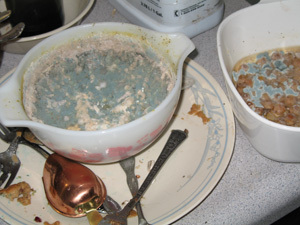 It took weeks to get the odor out of the house. 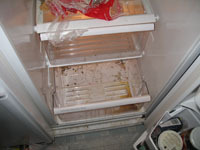 Seriously though, as you can see, living with a Methamphetamine user is a health hazard. 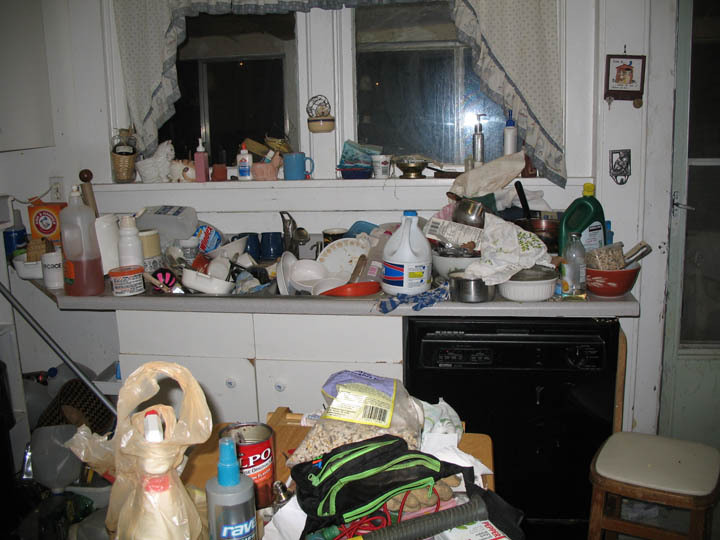 The house was filthy and it took a commercial skip to get all the trash out. The the whole place had to be scrubbed, repaired and repainted. 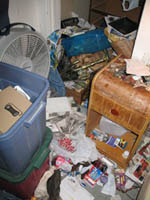 While I was cleaning I discovered weapons, stolen goods, stashed drugs and drug residue.